Recently I got a small requirement to give an option to the user to select images from another library in to SharePoint list while adding a new item. Basically the default attach file option of a list item opens you the windows explorer to choose the items. Firstly I thought, I should go for list form customization and a script injection by creating a file upload control and save the selected image in to the item with sp modal dialogue and the call back options. But later I found that, this can be achieved using the OOB site column called “Image with formatting and constraints for publishing”, which is available with the Publishing Infrastructure Feature. · Create a site column called “Image with formatting and constraints for publishing”. 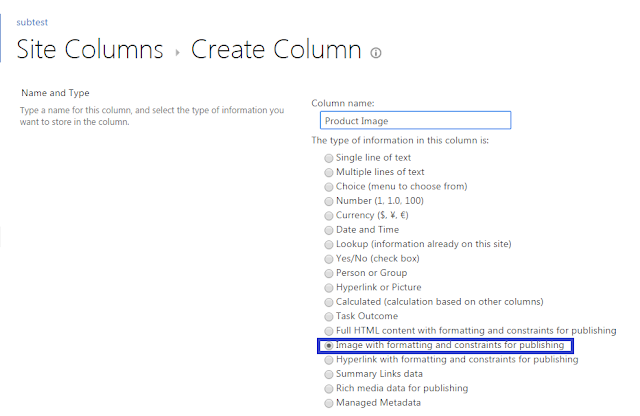 · Add the site column to your list where you want the image upload feature. 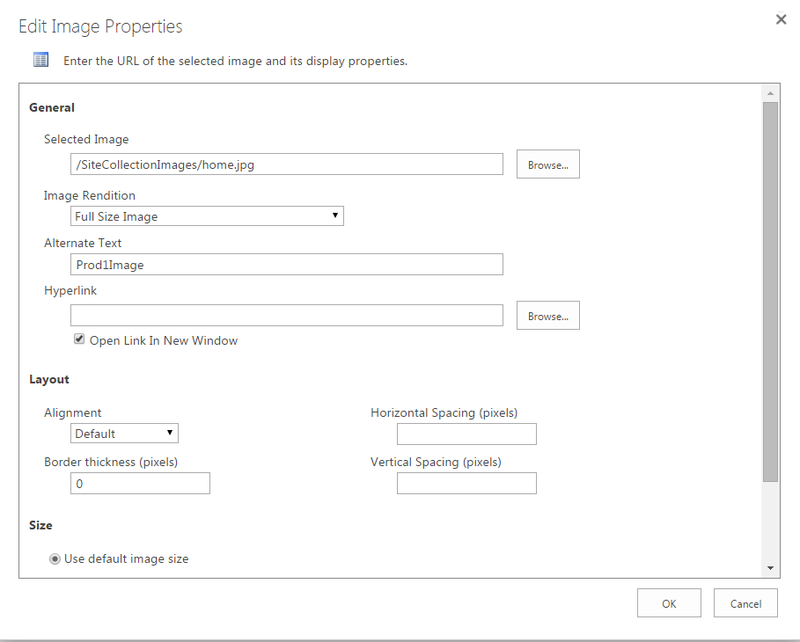 On clicking of the link, it will open a popup to select an image from a library. On click of browse, it will list all the lists and libraries throughout the site collection, from where you can choose an image and insert. In Edit form, on selection of Image it will highlight the respective ribbon options to update the image.